We help online brands scale up through pop-ups and in-store experiences. With the experience economy on the rise, retail must be do more than move product. We exist to transform passive showrooms into meaningful brand outposts filled with experiences that turn customers into brand evangelists. Sitting at the intersection of brand marketing and retail innovation, our spaces are more than design: every detail aims to push the creative boundaries within this rapidly changing landscape. With past experience sitting on both agency and client side, we’ve created a unique model that is built on collaboration. Whether you’re looking to launch a pop-up or revive your storefront with fresh creative concepts, we work with you on the big stuff, sweat the small and everything in between. Not your typical retail studio. 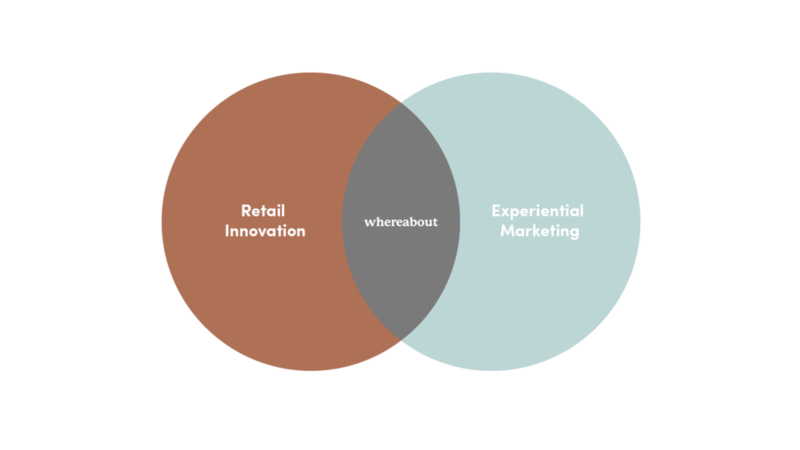 We sit at the intersection of experiential marketing and retail innovation. Different from the singular approaches of experiential marketing agencies or retail architecture firms, we know what gets people talking and are trained to translate that to the rapidly changing retail environment. We believe that experiential retail doesn't stop at the design. We handle everything from the look and feel of the space to the calendar of events that keep people coming back after you open. We assemble our creative teams around you. Whether you're renovating an airstream or creating a living showroom inside a home, we engage the best of the best to bring to life your vision.